I met Michelle over fifteen years ago, while being interviewed for a project management position for her company. I greatly respect her passion to help people grow and challenge themselves, as I am one of those individuals who benefited from her influence. During those years I have watched Michelle work with Fortune 500 clients, oversee operations and grow companies to success. She knows how to get the best out of people, while staying real to herself and to her passions–nursing, cooking and business! An Unconventional Nurse, you bet! Diane Altwies, CEO Core Performance Concepts, Inc.
Michelle’s book is definitely a fantastic guide for achieving success. From the beginning she sparks the reader’s interest and the –want- to read. Michelle wrote this book in a way that is enticing and informative delivered with a personal touch. I found Unconventional Nurse to be highly motivational and I look forward to testing myself with some of the questions Michelle outlines in the book. Michelle’s presentation was fantastic, engaging, funny and heartfelt! Once upon a time, changing careers for Baby Boomers was done at-will and not out of necessity. The lingering impact of the 2008 depression has changed this option into a must-do for aging workers who are facing the most difficult financial decision prior to retirement. Reinventing one’s career is daunting and risky. 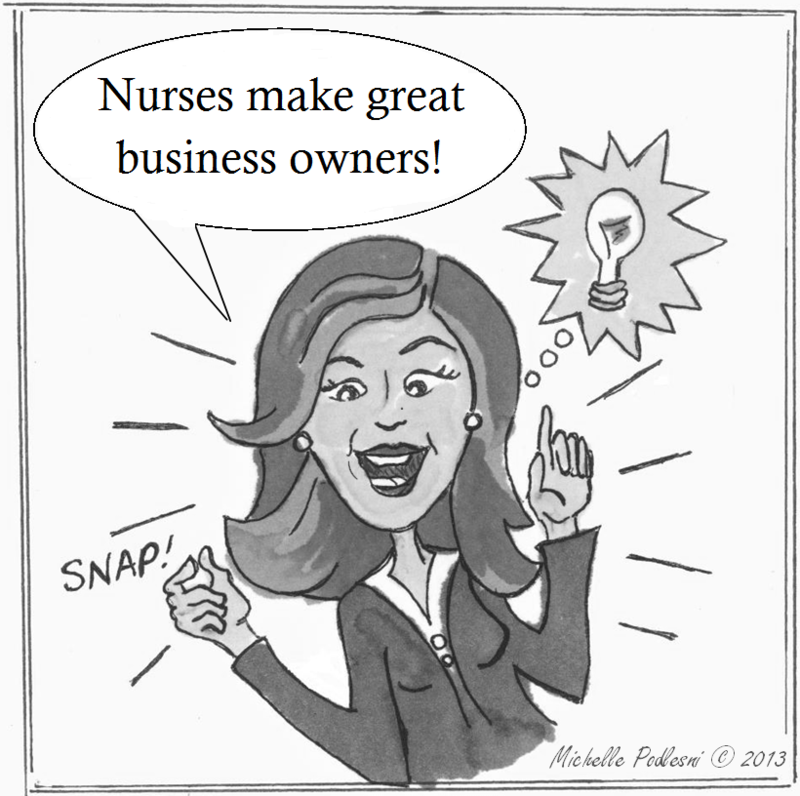 Michelle’s “Unconventional Nurse” will help guide many of us navigating our next career phase to a successful endeavor. Michelle Podlesni is driven to help others discover their dreams and pursue their passions and purpose in life wholeheartedly! Through her book, she equips and empowers her readers to move forward practically in the direction of their dreams, giving them skills that will help them along their journey toward greater success. The Unconventional Nurse is a book not just for nurses but for anyone who wants to advance their career in a creative “out of the box” way and is looking for sound advice in moving forward! I recently spent six weeks in a hospital recovering from a severe cancer diagnosis. Family, friends and faith were a big part of my miracle recovery – along with my incredible nurses. I have often wondered, “Who cares for the care givers?” Michelle Podlesni does. 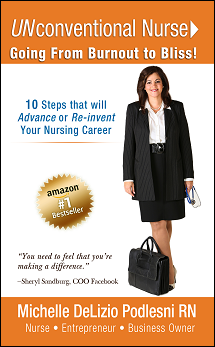 She is a passionate advocate for nurses, infusing this book helpful information that will encourage and empower nurses to acknowledge their strengths and expand their dreams. This book is a must read as you decide how you want to celebrate the rest of your life.